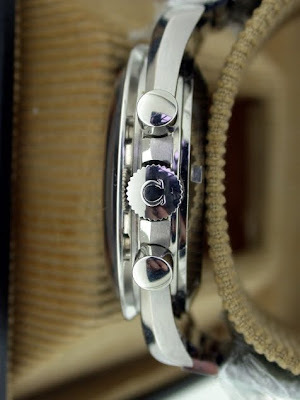 This watch was bought from the original owner who bought it new on 17th August 1968. 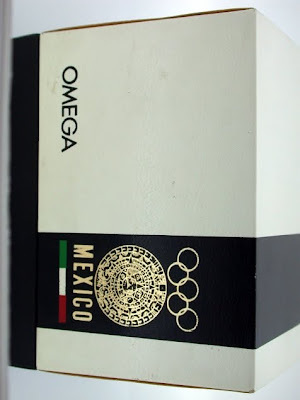 It comes in its original Speedmaster top-hat box commemorating the Mexico Olympics of that summer. 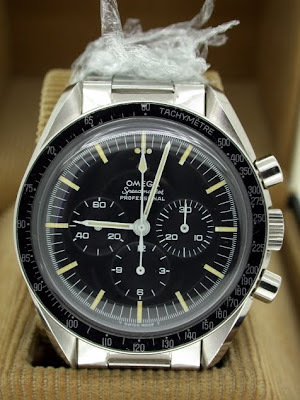 It comes on its original 1039 Speedmaster bracelet signed January 1968. 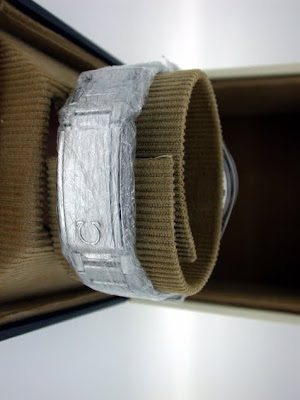 It comes with the orginal shop receipt. It comes with all papers for three full Omega Services through the years. It is in mint condition. It comes with its original Omega Instruction Booklet. 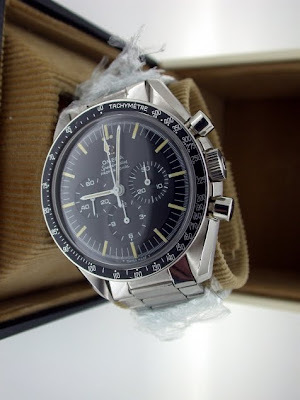 It comes with its original Omega International Guarantee card. It is the ultimate collectors piece and an almost impossible to find set. This is the ultimate moonwatch.